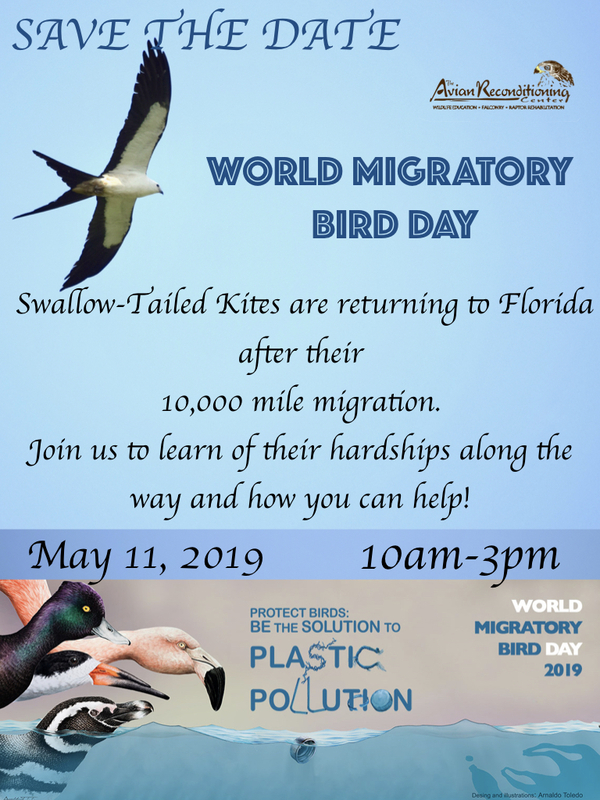 Join us as we celebrate the Swallow-Tailed Kite. This species nests in Florida and winters in Brazil. This is a 10,000 mile migratory journey! Meet Scooter our STKI and learn about conservation efforts and what dangers they may endure during their journey. Two years ago, a GPS tracking device was placed on Apopka,one of our rehabilitated Kites. Come out and learn about tracking studies for these birds and find out where Apopka is now.